Happy Summer, Moinkers! Since we launched last year, you’ve heard a lot from our Head Hen, Lucinda Cramsey, and the other awesome females that make up our team. There’s our Farm Paparazzi and Field Trip Coordinator, Lacey, our Healthy Hen, JoAnna, our Marketing Maven, Christy, and a few other rockstar women who help run the coolest company on the planet (Don’t worry, we’ll introduce them all!). But you don’t hear much from our Co-Founder, Adam Cramsey, who works behind the scenes to get boxes full of exceptional-tasting ethical meat into our customers’ hands every week. Not to mention he’s the best hog farmer around, in our slightly biased opinion! Adam is the strong, silent type, but he plays a very important role in leading our growing army of tender-hearted carnivores, and we think it’s time you got to know him a little better! So Adam moved across state to attend the University of Illinois, a land grant institution with one of the top Agriculture Engineering programs in the country. When he graduated in 2000, he was quickly offered a position as a Design Engineer for Caterpillar in Aurora, Illinois. In 2006, Adam transferred to North Carolina, where he met and fell for a certain fiery redhead, Lucinda (Read their love story and how Moink got its name here! ), who also grew up on a Midwestern farm. First came love, then came marriage, and you know the rest! When Lucinda found out she was pregnant with their second child, the Cramseys decided it was time to move closer to family, so back to Illinois they went. 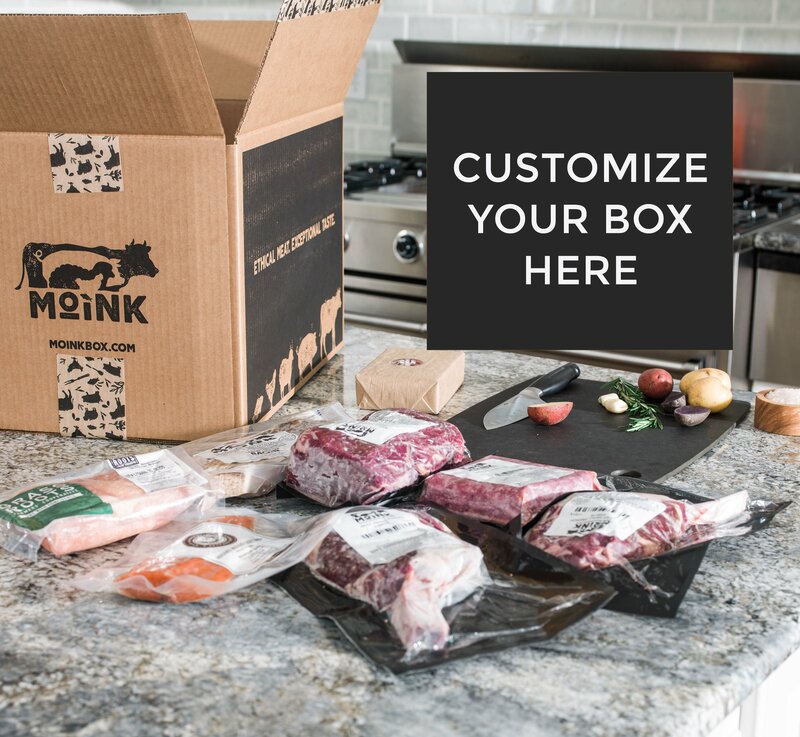 When the Cramseys launched Moink, Adam was thrilled to be able to deliver his humanely-raised pork right to customers’ doors, and to help create a market for other small family famers with a similar vision. “We think people deserve to know what’s really in their food, and to have the freedom to choose what kind of meat they feed their families,” he said. Adam’s farm has now grown to accommodate about 30 hogs at a time, and his long-term plan is to add in chickens, sheep and cows as well as crops, just like the diversified farm he grew up on. Are you ready to taste Adam’s exceptional-tasting pasture-raised pork for yourself? You won’t be disappointed! Order your Moink box today!